Tufwell has successfully installed a large number of glass balustrades on commercial projects including structural glazed guarding screens incorporating steel base sections. Including a glass balustrade in a new glass staircase project can add both light and a modern style to a project. 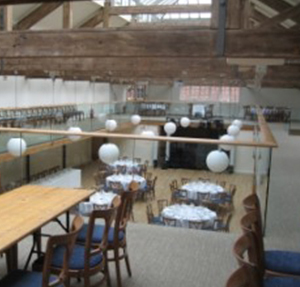 View our gallery for examples of glass balustrade projects we have worked on. Shaped and drilled clear toughened glass balustrade panels (installed in conjunction with main contractor).